Milk Kefir FAQ - Answers to Frequently Asked Questions about Milk Kefir. What is Milk Kefir ? 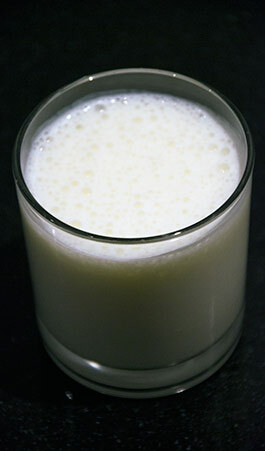 Milk kefir is a fermented beverage very similar to yogurt. Kefir has its origins in Russia. Milk kefir can be made with live kefir grains, dehydrated kefir grains or with the freez-dried powdered kefir starter culture. Kefir is easy to make, you only need kefir grains and milk. Kefir is fermented at room temperature with kefir grains for about 24 hours. The main ingredient for making Milk kefir is milk. Kefir can be made from any type of milk, cow, goat, soy, coconut or rice. Kefir has many great health benefits, a great flavor and is well tolerated well by lactose intolerant people. Information about making water kefir can be found in the category Water kefir. Is Milk Kefir easy to make ? Making milk kefir requires no special equipment. A bowl, a measuring cup, strainer, cheesecloth and a bottle or jar are the basic necessities. Put the milk kefir grains into a jar. Add 10 parts of milk to 1 part of milk kefir grains (ratio 1/10). Cover the jar with a cloth or something breathable to keep fruit flies out. Secure the cloth with a rubber band. Leave the jar at room temperature for about 24 hours. Check the kefir after 24 hours. It should be thickened. Normally after 24 hours, the kefir is ready. Pour everything into a plastic strainer or sieve above a jar. The beverage inside the jar is ready to drink (or can be cooled first). The kefirgrains are ready to make a new batch, the proces starts back at step 1. Will fresh live kefir grains keer growing ? Yes, milk kefir grains are reusable. After each batch you will notice that the kefir grains have grow. If good care is taking the kefir grains will keep growing indefinitely. The powdered kefir starter culture, freeze-dried starter culture or kefir ferment is a not reusable culture. Where to buy milk kefir grains ? On our website you can buy milk kefir grains. Alternate names for milk kefir grains are :Tibetan Mushrooms or yogurt plant. The fresh live milk kefir grains look like a small cauliflower and transform milk into a creamy yoghurt-like beverage. Milk kefir is a dairy product. With our milk kefir grains you can make fresh milk kefir ervery day, making milk kefir is easy ! How does milk kefir taste like ? The taste of finished milk kefir varies greatly depending on the type of milk used and the duration of the culturing process. Milk kefir can have a sour taste and a vibrant texture. If you have never tried kefir, we recommend you purchase kefir at the supermarket. However, the taste may be different, the kefir from the supermarket is in general milder and has a less sour taste. My milk kefir is too sour, what can be done ? The fermentation of kefir is already too far. How can you avoid this? Lower the temperature. The higher the room temperature, the faster the fermentation will proceed. In the summer when it is warmer, fermentation will be more rapid than in winter. How much kefir can I make with 1 sachet of fresh milk kefir grains ? 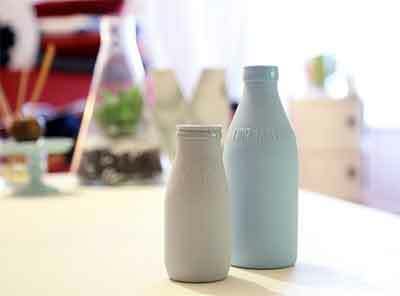 The delivered Kefir grains or "Tibetan mushroom" is enough for a first approach of 200 ml of milk. The beverage is ready to drink after 1 or 2 days. In good living conditions and proper care the kefir grains can stay alive for a lifetime. A small amount is enough to start. Since the amount of kefir grains doubles usually after 2 or 3 weeks. We guarantee only fast growing, highly vital milk kefir grains. How do I know my kefir grains are healthy ? In general, milk kefir grains are a strong symbiosis of yeasts and living bacteria, which can protect itself against contamination by other microorganisms. Healthy kefir grains look like a well structured cauliflowers. The fresh, slightly acidic and yeasty smell of the finished kefir beverage is an unmistakable sign that the milk kefir culture is healthy. If the finished beverage smells bad or otherwise behaves strangely, pour the mixture away for safety's sake. Rinse the milk kefir grains in a plastic sieve thoroughly with water and start with a new approach. The kefir grains should recover fast. My Kefir doesn't taste like kefir from the supermarket! If you make your own milk kefir, you will notice that the taste always slightly changes: with the ingredients of the season, the amount of kefir grains. The milk kefir made at home is usually not like the store bought kefir. The kefir at the grocery store is in general mild. This kefir beverage isn't fully compatible with real kefir. Kefir bought at the supermarket is made on a large-scale and most likely no real kefir culture has been used. More likely the kefir is made from a kefir starter which ensures absolutely consistent taste and consistency. How to take a break from making kefir ? If you go on vacation, the kefir will survive the break best in the refrigerator. How to handle : cover the kefir grains with a fresh mixture of milk. Cover it off without closing it airtight. If you will want to start a new batch on your return, you pour the milk away. Cover the kefir grains with a new batch of fresh milk. It may take several approaches to make the kefir grains work again. Also depending on how long they had a break. If you want a very long break, than you can dry the kefir grains. However, there is a risk that the culture can't revive. Normally, storage in a refrigerator is sufficient. What ingredients do I need to make milk kefir ? For the production of this delicious drink, you just need milk and milk kefir grains. You can use UHT milk, fresh milk or raw milk directly from the farmer. Does miik kefir contain alcohol ? Yes, the finished beverage contains about 0.2 to 2% of alcohol after a fermentation of about 48 hours. The alcohol content depends on various factors such as room temperature, fermentation time and the quantity of kefir grains. The presence of a-Lactalbumin in kefir starter culture ? Theoretically in the kefir there should be presence of a-Lactalbumin because it is included in the composition of milk. Respectively the kefir is made of milk. Our kefir starter culture doesn’t have anything to do with this protein because it doesn’t react with it. However, there is possibility that a-Lactalbumin is not present in the kefir, only if the temperature used for its production is very high (>80°C, at such temperatures it denatures) Important fact is that such temperature should not be applied and it is not applied. Therefore, our answer is positive regarding the presence of a-Lactalbumin in the kefir, which is linked to the whey proteins and has positive effects on the human body- because it has amino acids containing phosphorus. Some people have allergies from such proteins, but as already mentioned our kefir starter culture has no direct relation to a-Lactalbumin. Water Kefir FAQ - Answers to Frequently Asked Questions about Water Kefir. What is the optimal water to sugar ratio ? The optimal ratio is about 5 to 10% sugar in water, which is about 1 tablespoon sugar on 1 cup of water. Water kefir is made with water kefir grains, also known as Japanese water crystals, sugar grains or tibicos Making water kefir is easy and fun to make. Learn to make water kefir at the Kefirshop.eu. Where to buy water kefir grains ? On our website you can buy fresh live water kefir grains. Water kefir grains are also known as Japanese water crystals, tibicos, sugar kefir grains, and California bees. Waterkefir is delicious alternative to lemonade or other soft drinks. Waterkefir is the perfect drink for those who like to keep it healthy. Water kefir has a sweet and sour, crisp and very refreshing taste. Water kefir is easy to make. All you need is our water kefir grains and some basic ingredients like water and sugar. A ready to drink Water Kefir should have a pH of 3.0 to 5.0. Adding a half piece of lemon to your brew will make it more acidic. Yogurt Making FAQ - Answers to Frequently Asked Questions about making Yogurt. Homemade yogurt is generally healthier, the yoghurt made with a starter contains healthy bacteria (probiotics). Homemade yogurt contains more probiotics than the yogurt you buy at the store, also the fresher the yogurt, the more probiotics the yogurt contains. Yoghurt is commonly classified as a very good source of calcium, phosphorus, vitamin B2 and iodine. Yoghurt is apparent from the analysis also to be a good source of vitamin B12, pantothenic acid, vitamin B5, zinc, potassium, and molybdenum. These nutrients alone would make yogurt a very health supporting nutrient. But the most interesting for the health is the inclusion of live bacteria. The highest quality yogurt contains live bacteria that can have numerous health benefits. Yogurt containing live bacterial cultures, can help strengthen your immune system. Shipping FAQ - Answers to Frequently Asked Questions on Shhipping. The kefir grains are well packed and sent in a bubble foil envelope. The kefir can survive a transport of a few days without problems. However, it is advisable to set the kefir as soon as possible after receipt - the better and faster it begins its work. What countries or regions do you ship ? Kefirshop.eu sends to most European countries. We use the services of large, reliable international carriers to guarantee that your mission safely and carefully delivered to you. Refer to the table below to see if we ship to your country. we also send to: Austria, Azores, Bulgaria, Croatia, Cyprus, Czech Republic, Denmark, Estonia, Finland, France, Germany, Greece, Great Britain, Hungary, Ireland, Italy, Latvia, Lithuania, Luxembourg, Malta, Monaco, Poland, Portugal, Romania, Slovakia, Slovenia and Spain. Can I track my parcel ? All our packages are sent by default without Track & Trace. The delivery is carried out by PostNL or bPost. You do not have to stay home to take the parcel receipt. Our Postal companies provide Track & Trace. So there is the possibility to send your package with Track & Trace. You can ask us by mail to send your package with Track & Trace. The additional cost that is charged, you have to pay extra. The average additional cost is € 6.95 (2015). Wire Transfer (within 5 working days) We will send you an email with all payment details this after you've completed your order. Orders not paid after 14 days shall be automatically canceled. All payments are done through our payment provider Sisow. You will thus be sent for payment at the end of your order to the payment page of Sisow. If you wish to pay your order online through bank transfer, you can pay directly to our company (without processing fee). Mention the ordernumber in your payment, which can be found in your confirmation email, so we can easily link your payment to your order. What is delivery scheduling for my country ? * These transit times are an estimate in working days after the packages have left our sorting center in the Netherlands.